Continue the experience "Feeding the Planet, Energy for Life”: Good Food of the Restaurant, Good Wine of Cantina del Generale, Good Staying in our Inn. The offer is valid for a minimum of 2 nights, every day in the week, by request and upon availability, from euro 185,00 per person. 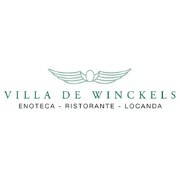 It includes: 2 nights stay with breakfast, 1 dinner at our Ristorante Villa De Winckels, 1 dinner at our Cantina del Generale 2 transfer from/to Villa De Winckels from/to Verona (Railroad Station Porta Nuova, Catullo Airport, City Center). If you arrive with your car, our unattended outdoor parking inside the Villa is for free and you can leave your car during your staying. Find new Energy and Relax yourself among Nature and Silence. Offer valid during the months of June, July, August 2015.